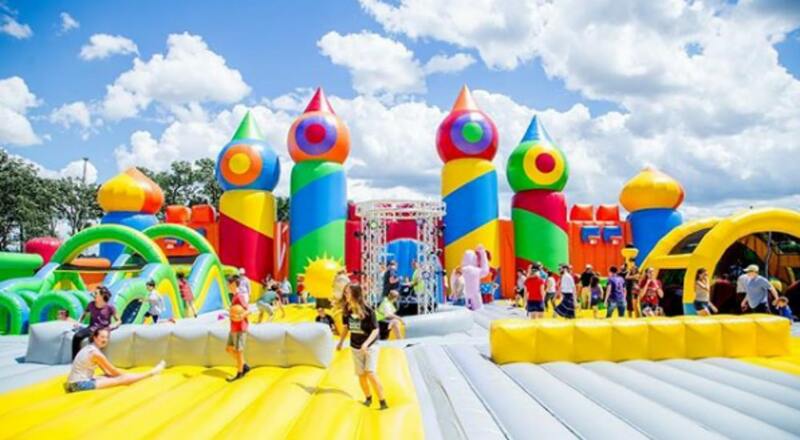 The largest bounce house in the world is coming to NYC, and it’s not just for kids. The six-day event will take place at Aviator Sports and Events Center from July 26 through August 4 with ball pits, climbing towers, confetti blasts, competitions, and live DJs. Along with The Bouncer (aka bounce house), there will be an obstacle course with 50 different challenges over the course of 900 ft called The Giant, and a “space-themed wonderland” that has a 60-foot-tall maze and moon surface ball pits called Air Space. When purchasing your ticket you can choose between a three-hour pass that lets you access all areas, or a one-hour time session for the bounce house only. They are already open to the public so be sure to secure your time slot soon! Tickets will be more expensive on the day of. Note: Big Bounce America will be making other stops in New York along its tour including a stop in Albany from June 28-30, and two weekends in Buffalo from August 9-11 and again from August 16-18.